Saturday, March 23, 2019 at 2 pm: Gallery talk and reception with Ellen Goldberg and Hugo Rivera, of Meadmore Studios LLC, and Jonathan Lippincott, author of Large Scale. 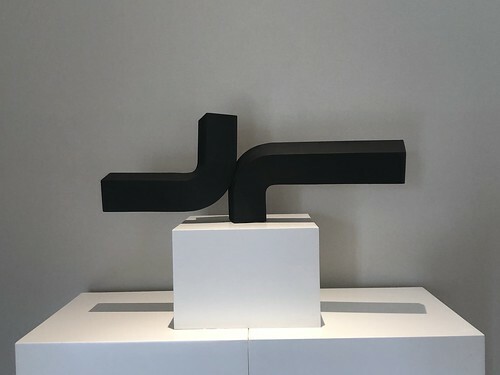 Clement Meadmore (American, b. Australia, 1929-2005) is represented in Lynden’s permanent outdoor collection by two exuberant monumental works, Upstart (1967) and Double Up (1970). Clement Meadmore: The Models continues our exploration of the work and creative processes of artists in our collection, many of whom were also making smaller sculpture, furniture, or works on paper. In this exhibition, organized in collaboration with Meadmore Sculptures, we display eight models—some of them used to this day to fabricate Meadmore’s large-scale works.